On the options front, maximum Put OI is placed at 10,700 followed by 10,600 strikes while maximum Call OI is placed at 11,000 followed by 10,800 strikes. After two days of decline and a fall below crucial short-term moving average, bulls managed to bounce back and closed above its crucial resistance level placed at 10,770 which made a 'Harami' kind of pattern on the daily charts. A Bullish Harami candlestick pattern is formed when a large red candle is followed by a smaller white or a green candle. On Tuesday we saw Nifty forming a Bearish Belt Hold pattern which has negative implications as per charts, and on Wednesday Nifty formed a bullish candle. Formation of a bullish candle after a large bearish candle suggests that the trend may be reversing. The smaller candle is usually located within the vertical range of the larger body. However, the pattern will only get confirmed if the bullishness continues in Thursday’s trade as well. The Nifty should sustain above 10,700 levels for the bulls remain in control. Investors are advised to remain cautious and watch trading activity in the next few sessions. A slip below 10,698 could resume the downtrend while a close above 10,840 could tilt the trend in favour of bulls. The Nifty50 which opened at 10,734 rose to an intraday high of 10,781. It slipped marginally to hit an intraday low of 10,724 before closing the day at 10,772, up 61 points. “Wednesday’s bullish candle appears to have resulted in ‘Harami’ kind of formation pointing towards possible short-term reversal of the trend in favour of bulls once again. 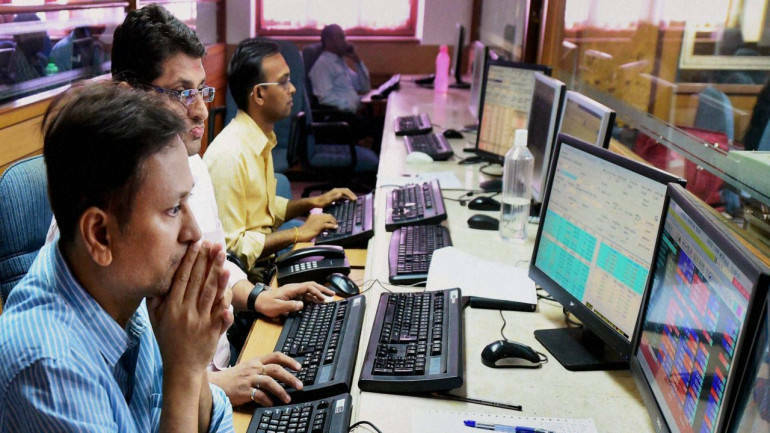 However, to confirm this kind of strength market need to witness not only a follow-through buying but also fill and sustain above the bearish gap present in the zone of 10833 – 842 on 14th of June,” Mazhar Mohammad, Chief Strategist – Technical Research & Trading Advisory, Chartviewindia.in told Moneycontrol. “Unless that happens bears shall continue to have upper hand against bulls. Essentially alternate day strength among bulls and bears is suggesting that market is undecided about the direction and stuck up in a range,” he said. Mohammad further added that in the next trading session also if the bulls can successfully defend 10,700 levels on Thursday then slowly they may head towards 10,840 tilting the balance in their favour. “Contrary to this if bears succeed in pushing the Nifty50 below 10,698 levels then down trend shall once again resume with more strength,” he said. Bank Nifty erased the losses made in last three sessions and closed above immediate hurdle of 26,500 zones. It formed a strong Bullish candle after the weakness of last four sessions, and now it has to hold above 26,500 zones to witness an up move towards 26,750, suggest experts. “Fresh Put writing was seen at 10,700 and 10,800 strikes while Call unwinding was seen at all immediate strikes. Option data suggests a broader trading range in between 10,700 to 10,850 zones,” Chandan Taparia, Derivatives, and Technical Analyst at Motilal Oswal Securities told Moneycontrol. “On the technical front, Nifty index formed an Inside Bar and a Bullish Harami candle on a daily scale which indicates that bulls are not loosening their grip and decline is again being bought into the market,” Chandan Taparia, Derivatives, and Technical Analyst at Motilal Oswal Securities told Moneycontrol. “Now, Nifty has to continue to hold above 10,770 zones to witness an up move towards 10,835 then 10888 levels while on the downside supports are seen at 10,720 then 10,700 zones,” he said. Taparia further added that the index has got stuck in a range between 10,700 to 10,900 zones from the last ten trading sessions and requires a decisive breakout to commence the next leg of rally else bulls and bear both are likely to fight in the market to drag in their respective side.